BA "Ahead you see some great free fiction." Bob "I waste it with my crossbow!!!" • At Mad Scientist Journal: "Using Supernatural DNA to Enhance Sporting Performance" by Andy Brown. "For centuries, the tales of supernatural beings and their magical powers have enriched our lives. Now that we have access to these beings after the Pan Species Accord of 1947 (PSA), DNA research has shown that some of the traits of these creatures may be transferable to humans. This project focuses on DNA applications with regard to physical enhancement in sportsmen and women." • At The WiFiles: "The Wind" by Michael Shirzadian. Speculative Fiction. "Not having noticed the door left ajar, it would have been impossible for Calo to have noticed the glass of ice water which had been placed meticulously and intentionally on the top of the door, leaning at a slight angle against the white panels above the frame so that at the slightest irritation the glass would fall on and soak the unsuspecting door-enterer below." 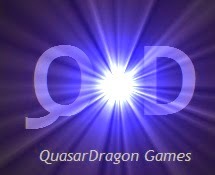 • Now Posted: "Heroic Fantasy Quarterly– Q21" Fantasy. "An astronomical mission take an English poet and a scientist deep into the Balkan hinterlands. 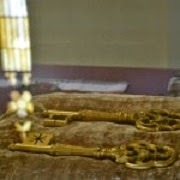 The secrets of Suleyman, old superstitions, and ancient wickedness unfold beneath the uncaring stars." "Robbing the Necropolis of Catapesh is dangerous, dirty work, but when Tariq and his nephew discover a greater secret with greater rewards they delve into an ancient sunless world and thread its lethal streets." "Just because you’re a monster of terror and legend doesn’t mean you can’t be civil about things. With bonus artwork!" "Life as the Chosen One can be brutal, especially when there is no one upon whom to pass the torch, the gods have abandoned you and your immortal nemesis is stirring again." • At Daily Science Fiction: "Readymade" by Shannon Fay. Science Fiction. • At 365 Tomorrows: "Suburban Singularity" by T J Moore. Science Fiction. • At 365 Tomorrows: "Every Angle" by Jae Miles. Science Fiction. • At Toasted Cake: "The Tell-Tale Ear" by Alex Shvartsman. Audio Science Fiction. 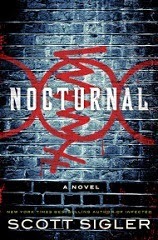 • At Author's Site: "Nocturnal: Episode #41" by Scott Sigler, Horror. "Marie’s Children attacked San Francisco General Hospital, and made off with not only Jebediah Erickson, the Savior, but also Pookie Chang. Pookie’s partner, Bryan Clauser, was badly injured in the fight. He is with Adam and Alder Jessup, and with Aggie James, the street bum who was held captive by Marie’s Children. Bryan and Co are racing to the apartment of Robin Hudson, who might be the monsters next target. Can they get to Robin in time?" • At Drabblecast: "After the Cure" by Carrie Ryan, read by Amy Robinson. Horror. 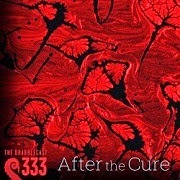 "I was shot with the cure in the dark. Later, someone would tell me it was a Tuesday, but before the tranq dart I didn’t know such a thing existed. It was either day or night, hungry or sated, alive or dead." 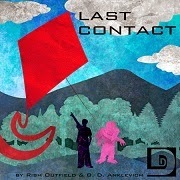 • At Dunesteef: "Last Contact" by Rish Outfield and B.D. Anklevich. Science Fiction. "Everyone finds the Others revolting. They are aliens, unwelcome visitors now squatting on Earth. And when Hughes is forced to partner up with one of the Others for his Biology class presentation, he is mortified and disgusted. But will he still feel that way once he’s gotten to know her?" • At Every Photo Tells: "The Haunted Peak" by Mick Bordet. Fantasy. "There are many legends told about the Haunted Peak, but the road that winds past it holds a story of its own." 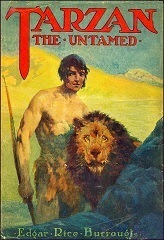 • At Fantastic Worlds of Edgar Rice Burroughs: "Episode 21 - Tarzan The Untamed." Adventure. "We left Lt. Smith-Oldwick separated from Bertha Kircher in the city of the maniacs. He has been taken into a locked enclosure and left to fend for himself – surrounded by a pride of great lions!" • At Crime City Central: "Just This Once" by Michael Guillebeau, read by Fred Himebaugh. • At The Western Online: "Destiny's Cross" by Bob Cacioppo. • At The Western Online: "Hang on for the Ride" by Milo James Fowler. • At The Western Online: "The Orphan from Ciudad Verde Pálido" by Tom Sheehan.